GreenPrint's patent-pending technology helps small and medium offices ranging from 50-500 users, to manage print consumptions and a huge savings opportunity with the use of GreenPrint Analytics. 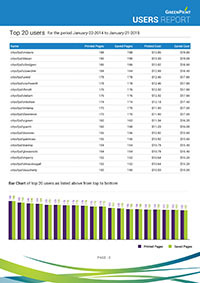 Get automated periodic print reports based on your schedules. Eliminate unwanted content from being printed. Use preView+ to remove pages or text or images within the document from being printed. Create high quality PDF documents. Users in your organization identify their own carbon footprint and print costs. GreenPrint smart filtering option remove pages automatically that have only a few lines or line numbers (This can be customized by your organization user). 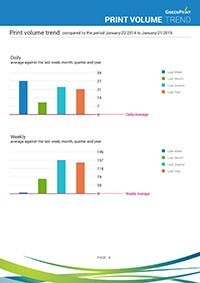 GreenPrint Reports allow users to view instant print statistics report and print job history based on specific date range. 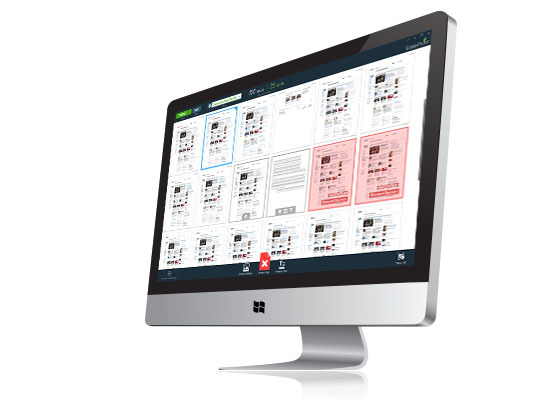 Print measurement, print analysis, track print consumption of both on and off-network printers, identify immediate cost savings opportunities and efficiently manage your print operations. 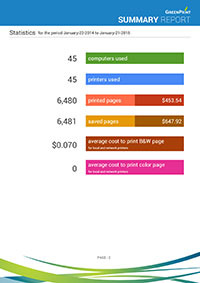 GreenPrint Analytics helps you capture all printers that your users are printing to. 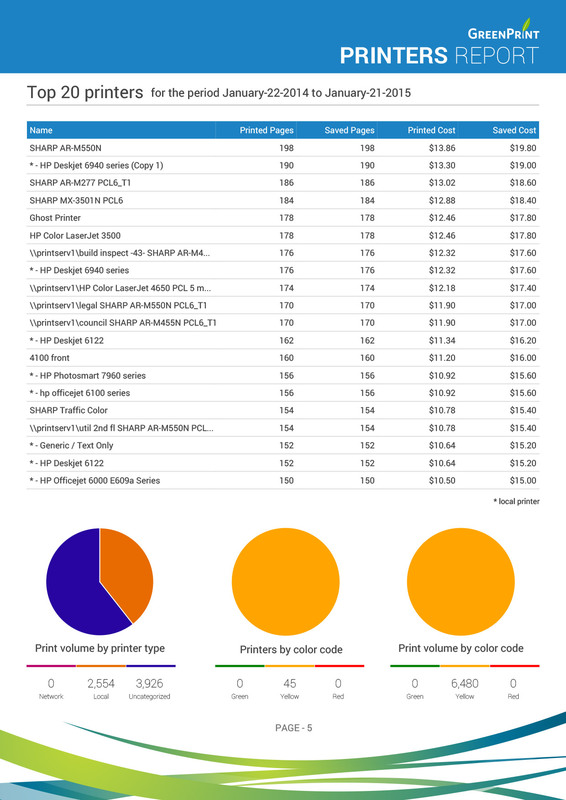 You can then label or categorize these printers as "Green", "Yellow" and "Red", as well as assign printing costs to each of these printers. 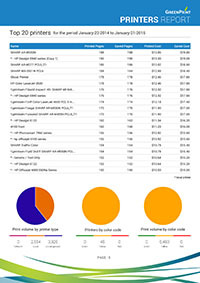 Track printing volumes by printer label or track based on the printers being network or locally connected, i.e., connected via USB or parallel port to users desktops. 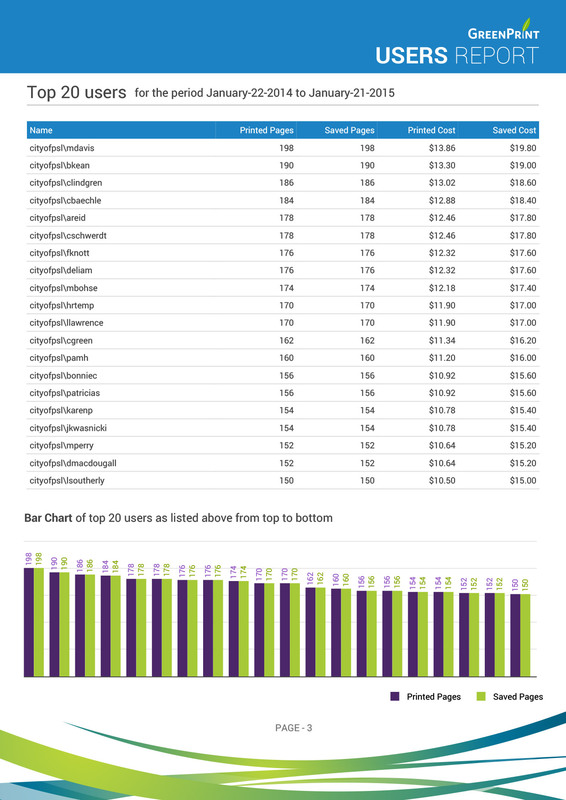 Track overall printing across your organization over time. Identify print volumes based on individual users or based on group of users such as departments within your organization. Get automated periodic print reports based on your schedules set in GreenPrint Analytics without visiting to the website many times. 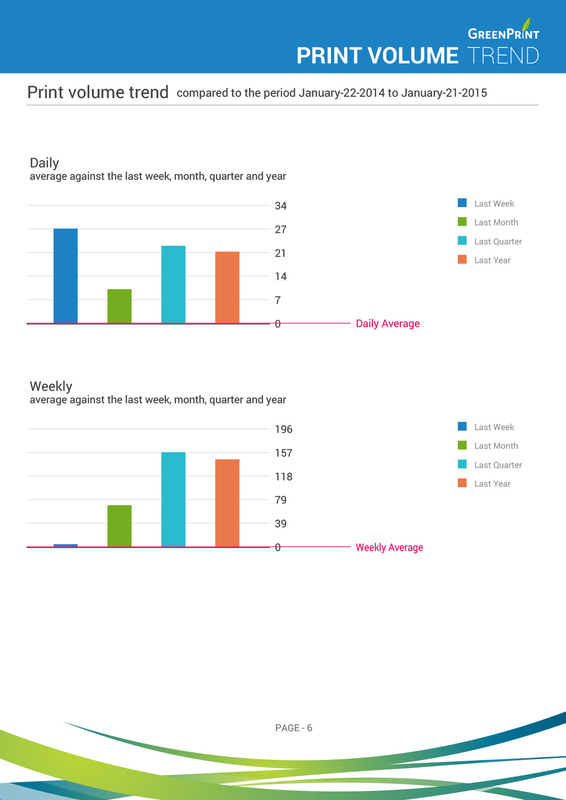 View your organization printing summary report, users report, printers report and print volume trend in a single pdf. Access to your reports anytime and anywhere that is available 24/7 on amazon EC2/S3 Cloud servers. This includes one-to-one email support, including a knowledge base with help documents, tutorials, training videos, and technical solutions and community support forum threads. Register for an account, then download and install the GreenPrint Agent. No credit card required. *All features of premium plan free for 30 days. 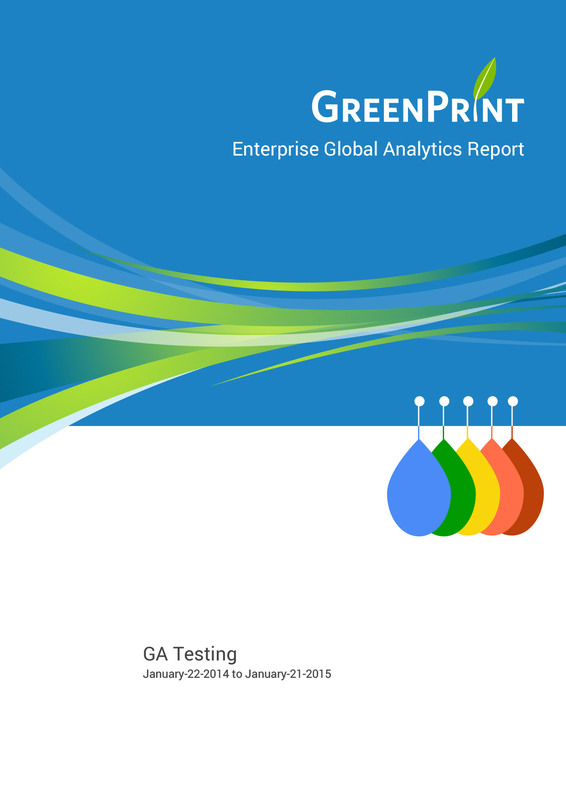 GreenPrint's patent-pending technology does this by analyzing each page of every document sent to the printer and looking for typical waste characteristics (like that last page with just a URL, banner ad, logo, or legal jargon). 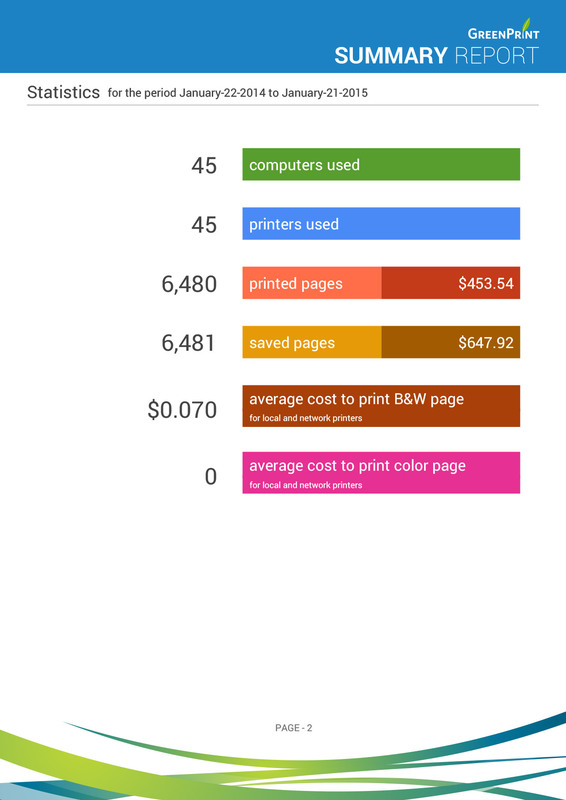 GreenPrint also incorporates an easy to use PDF writer, an interactive print preview, and a reporting feature which keeps track of the number of pages and the amount of money you have saved. Watch the video demo how GreenPrint works!